Experience Maya Contemporary Art and Learn from Local Artists in this unique cultural adventure. Each participant will have the opportunity to study weaving, music, painting or bead jewelry for five afternoons with local artisans. Whether you're an experienced creative artist or you want to begin exploring your creative inclinations, this experiential art immersion tour will inspire you for years to come. Lake Atitlán, in the western highlands of Guatemala, is internationally known for its astonishing natural beauty. Twelve miles long and over one thousand feet deep, rimmed by lush spectacular volcanos and the mountainous edge of the massive crater, the beauty of this area has inspired weavers, painters, healers, musicians, volunteers and writers. Living in San Pedro La Laguna, you will experience the rhythm of hand made lives. Here there is no mall or supermarkets but a bustling and always changing market, few cars but small private taxis originally from India called tuk tuks and near el parque central, the "chicken buses," brightly painted recycled American school buses. Local vendors sell handwoven cloth and baskets, clothes, leather bags, woven backpacks, bracelets and handwoven cloth shoes ,while backpackers from South America line the street selling macrame jewelry. Children play in the streets with plastic balls and bottle caps while maize and bouganvillae, bananas and coffee grow in the earth between the buildings. Nariz de Indio, the sleeping Maya in the mountain, lies above these pueblos and the Mayan people who have lived here for 4000 years. In these ancient and evolving pueblos, creativity and traditional art meet, making an evocative setting for personal creative exploration and inspiration. This tour offers five hands-on lessons with a local artisan in weaving, painting, music or beadwork. Together the group will also explore the creative arts of the Maya in San Pedro, Santiago and San Juan, three pueblos on the scenic shores of Lake Atitlán known for their murals, folk art paintings, weavings, natural dyes, shoes and fechas. Each participant will also make a traditional Guatemalan kite with master kitemaker Julio Asturias (click to learn more about our workshops with Julio) and learn about the Giant Kites of Sumpango. 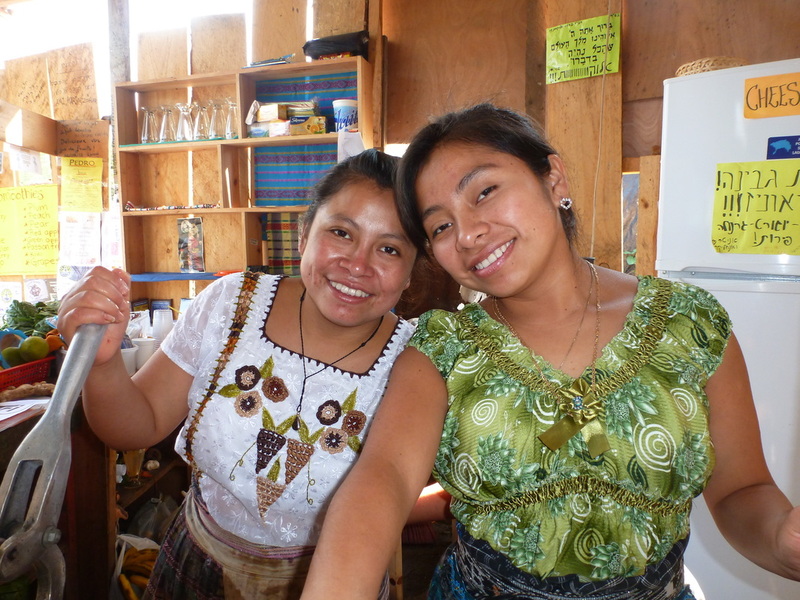 Participants will also learn how to prepare a traditional Guatemalan meal and enjoy the products of their labor. In addition, tour participants will creatively reflect and integrate their experiences through fun and simple creative exercises in writing, movement and visual expression. A truly beautiful adventure to open your heart, spark your creative spirit and enchant your inner artist!